Larger tires require steering upgrades in your Jeep Wrangler JL. 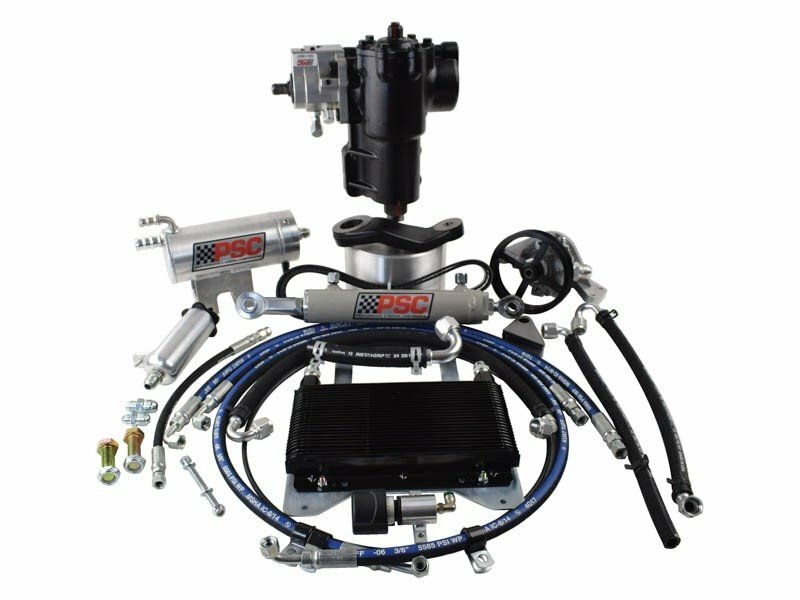 The PSC Big Bore XD Series Steering Kit w/ Cylinder Assist provides the premium upgrade needed to handle the increased torque loads. Offering kits compatible with the Dana 30, Dana 44 and Dana 60 front axles. Allowing your to turn with ease and focus more on the terrain you're about to tackle. PSC offers the performance steering you desire with the quality your Jeep deserves. Please Note: Programmer required to override the factory electro-hydraulic pump functions. Recommend 4-7 Degrees Positive Caster: Positive caster increases alignment torque keeping the driver in control of the Jeep. Allowing you to travel at high speeds going down the highway in a straight line without drifting. Decreasing the effort it takes to turn those massive heavy tires. This will also increase negative camber gain while turning for wider tire contact.